The ECS Lecture during the 232nd ECS Meeting in National Harbor, MD, was delivered by Steven Chu. Chu is currently the William R. Kenan, Jr., Professor of Physics and Professor of Molecular & Cellular Physiology at Stanford. Previously, he served as U.S. Secretary of Energy under President Obama and was the co-recipient of the 1997 Nobel Prize in Physics for his contribution to laser cooling and atom trapping. 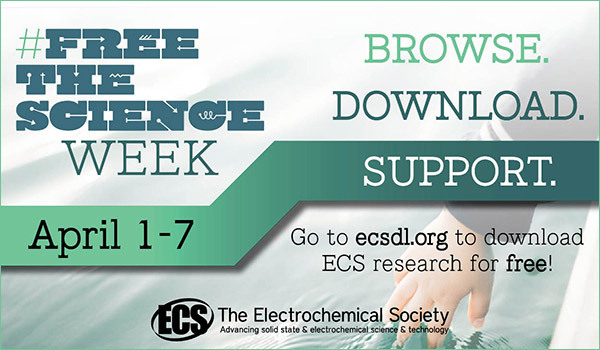 Chu’s ECS Lecture, “The Role of Electrochemistry in our Transition to Sustainable Energy,” focused on the risks society is facing due to changing climate, the evolving energy landscape, and the role of electrochemistry in providing critical technological advances. During his lecture, Chu outlined the risks that modern society faces, which demand technological innovation to provide solutions. Namely, Chu stated that the rising climate poses significant risks to the global community. According to Chu, the Earth has warmed by an alarming one degree Celsius since 1975.